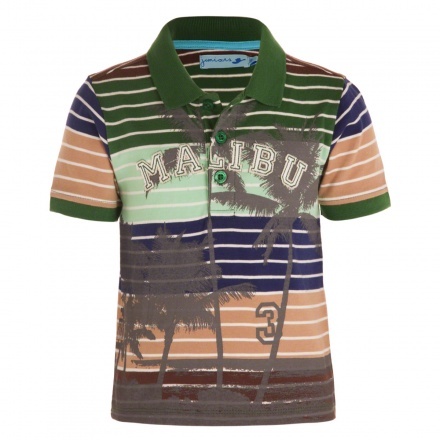 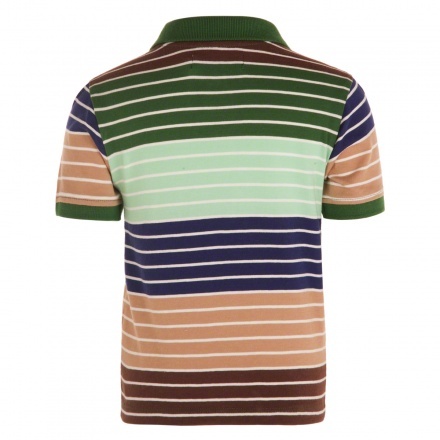 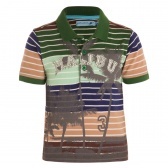 This polo shirt is sure to up his summer style quotient. 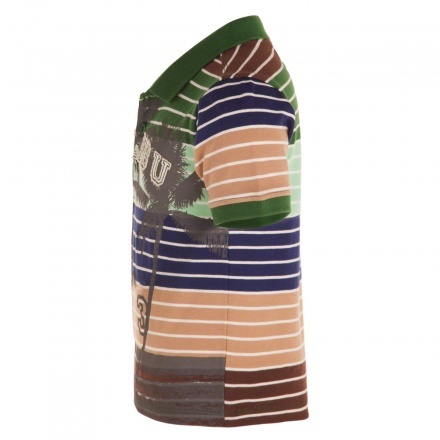 It features bold all over stripes, a bold print on the front and a contrast collar and sleeve hems. He can pair it with denim shorts and loafers for a trendy look.